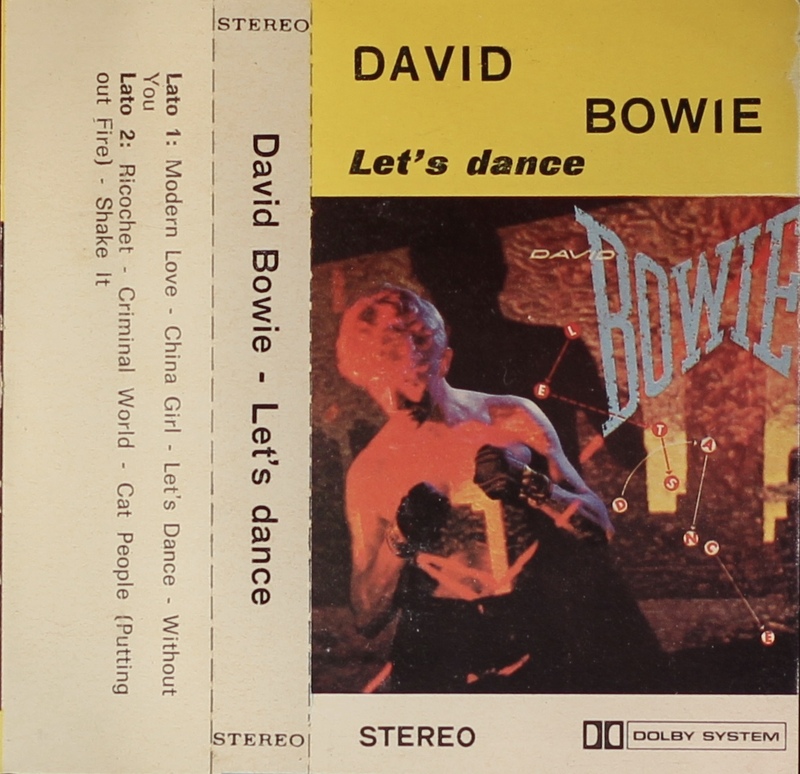 Let’s Dance; Saudi Arabia; IMD; 8704. 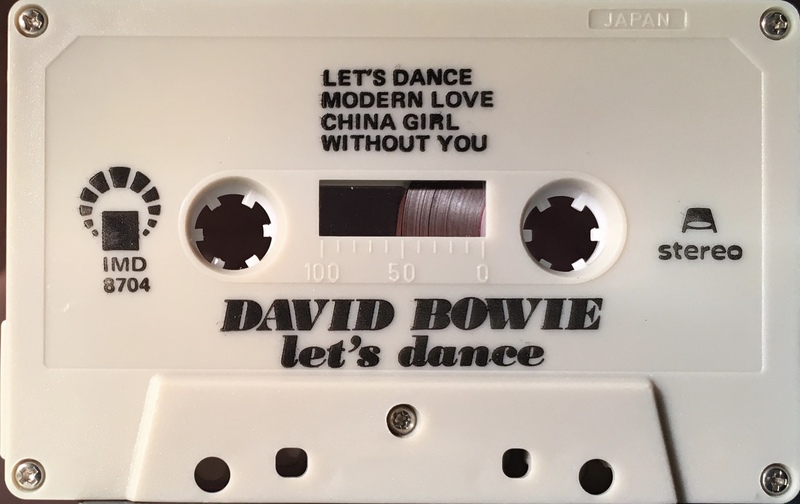 Side 1: Let’s Dance; Modern Love; China Girl; Without You. 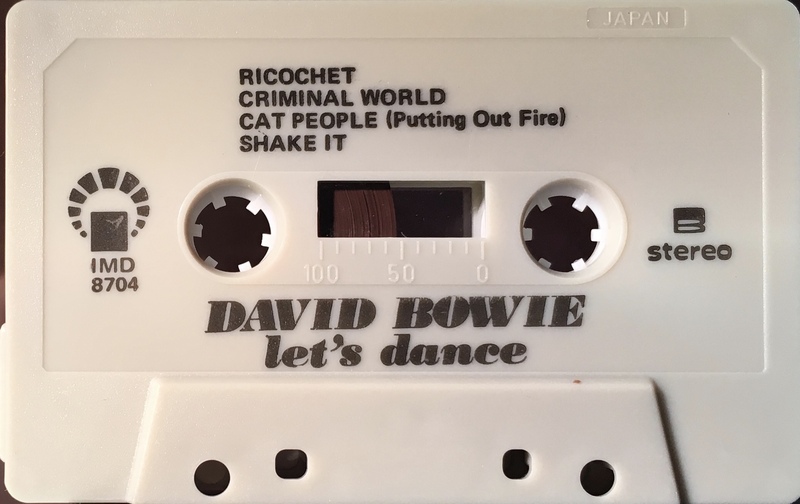 Side 2: Ricochet; Criminal World; Cat People (Putting Out Fire); Shake It. 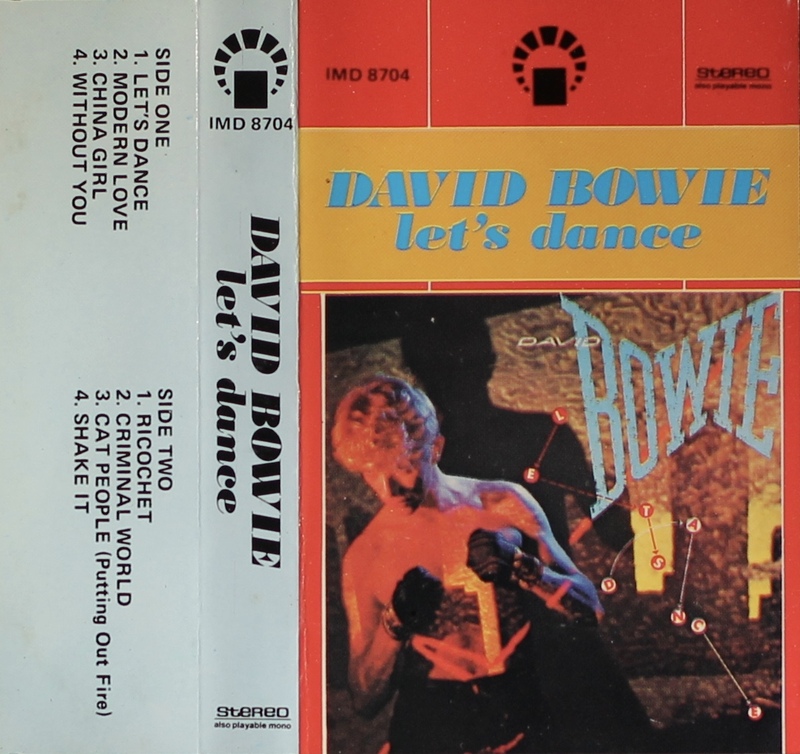 Let’s Dance; Italy; unknown label. 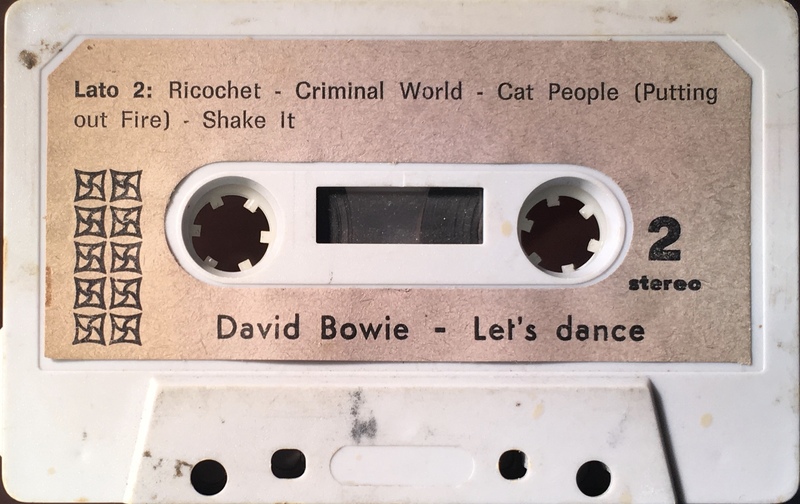 Full album on unmarked cassette sides are referred to as ‘Lato’ so probably Italian in origin. Black ink printed on paper label onto grey shell. 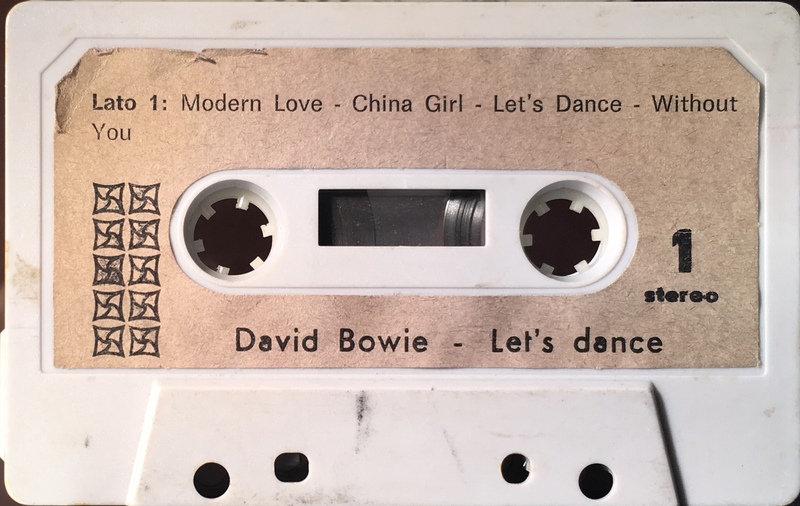 Side 1: Modern Love; China Girl; Let’s Dance; Without You.